Home » Laundry & Dry Cleaning Service Blog » General » What is Dry Cleaning? Although dry cleaning is a common phrase in laundry, most people do not really know what the procedure entails. And, that is one of the main reasons it has not effectively worked for many people. 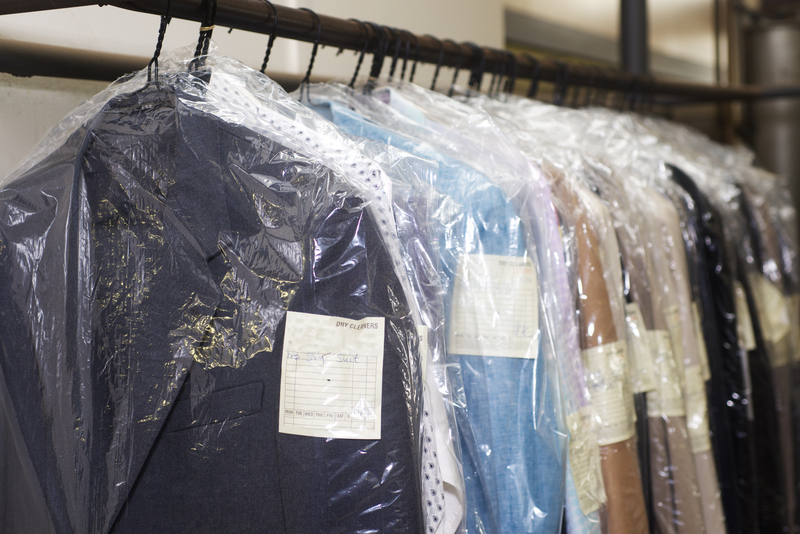 One of the key aspects of dry cleaning is that it does not entail the use of water as the main solvent. While the cleaning process involves the use of liquids, the fabrics are not fully immersed in water as it happens in hand washing or using washing machines. The fact that the cleaning process does not entail the use of water is why it is referred to as dry. Dry cleaning works on a wide range of garments and clothing but, it is typically recommended for fabrics that lack the ability to withstand the rigours of standard home washing machines and dryers, making it less time consuming and, also ideal in preserving the qualities of fabrics. Over the years, dry cleaning has been done using various kinds of chemicals including ammonia, petroleum based solvents of kerosene and gasoline among others. Although these have been effective on different fabrics, they have also been proven to contain certain dangerous substances. This has seen dry cleaners introduce chlorinated solvents that are both safe and effective on almost all fabrics. In an attempt to ensure proper environmental conservation, modern commercial dry cleaners are opting for green dry cleaning. This is done using carbon dioxide detergent systems and machines that rely on pressure to eliminate dirt and stains from garments. Green dry cleaning does not involve the use of heat, which also makes it ideal in preserving the appearance and durability of fabrics even after numerous cleaning procedures. While dry cleaning can also be done at home, it has certain twists that many people cannot clearly understand. That is why most households and businesses opt for commercial laundry services. Although some dry cleaners can always perform all the procedures on-site, quite a number prefer to collect garments and clothing then, transport them to a central location where all the cleaning is done before returning the fabrics to the owners. Before the cleaning exercise begins, each item to be cleaned is given a tag bearing an identification number. The tagging can be done using paper tags, which are pinned or stapled onto the garments. In established dry cleaning companies, they have iron-on strips with permanent bar codes assigned to their regular clients. The importance of tagging is to make sure there is no mix up that could result into the loss of your clothes or garments. After tagging, the clothes are also thoroughly inspected to remove any items left in the pockets and identify missing buttons, tears and other defects. This helps in making sure that the clothes are safely handled during cleaning. Besides, the hitches will also be reported to you after cleaning so they are fixed before wearing the clothes. In case stains are spotted on the garments during inspection, they are given the right treatments for easy cleaning. The treatments vary depending on the type of stain and extent of damage. As soon as the stains have been treated, the garments are loaded into a large dry cleaning machine with the right water-free solvents. After a short agitation in the solvents, the solution is drained and replaced with a fresh solvent to rinse the garments. While dry cleaning works incredibly in wiping off oil-based stains, some stains may prove hard to eliminate in a single cleaning exercise. Any remaining stains on the fabrics can be removed using vacuuming, steam, water or other effective measures. The last step is to prepare the garments for use. This can entail steaming or ironing to eliminate wrinkles and, also folding. In case you are seeking professional dry cleaning services in Singapore, Laundry Service Singapore is the right partner to always engage. Besides dry cleaning, we also provide professional wet washing, stain removal, folding and ironing services for both households and businesses across Singapore. ← What is laundry laundromat?